Washington wines have been on the rise for the past 20 years, and the state has some of the best French blends and cool climate grapes in the USA to prove it. And should you find yourself in Seattle for weekend, there's no shortage of great places to tip a glass of vino, but if you have time for a more comprehensive road trip, there's a vast wine country waiting just outside The Town. From city wineries and Puget Sound to mountain vines and yurts on the Columbia River Gorge, here are the best wineries to visit in Washington. Chris Upchurch helped put Washington wine on the map with his red Bordeaux blends and syrah at DeLille Cellars. 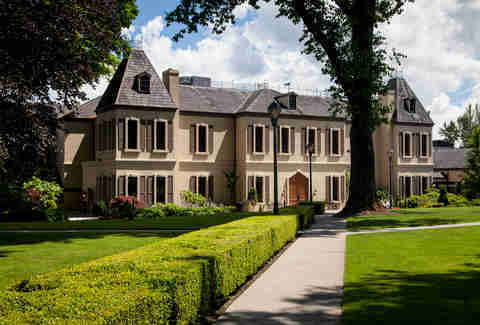 Luckily, they have multiple Seattle-area locations where you can enjoy some of the state’s most notable reds, but you'll want to head out to Woodinville to the Carriage House Tasting Room, which boasts a scenic pond, outdoor space, and a lot of wine to try. If you can't make it out there, hit the Maison DeLille Wine Lounge in Kirkland, which has live music on Saturdays and Sundays. 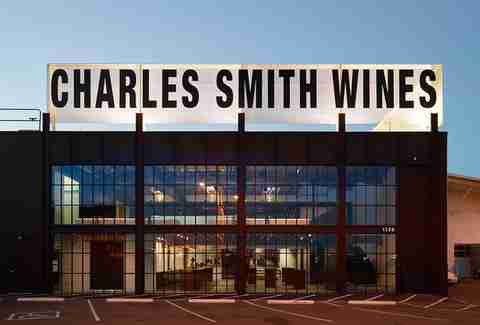 Charles Smith quit touring and managing bands to enter the Walla Walla wine world in 1999. Since then, his Slash-esque coiffure, prolific portfolio, and playful wine names like Kung Fu Riesling and Boom Boom! Syrah have made him a household name. This year, he opened a Jet City tasting room so you don’t have to trek all the way to Walla Walla for a taste (but if you can, you should try to). If you want a taste of the winemaking experience but don’t want to commit to a real harvest job or certification (or if you’re planning the most Sideways-themed bachelor/bachelorette party ever), Northstar Winery has a blending seminar where you can learn about winemaking and blend your own bottle. The 90-minute session is $85 per person, but you get to take home your own personal booze and have people tell you about its mouthfeel. Win/win! The largest producer in Washington, CSM uses some of the oldest vines in the state, which were planted in 1962. They’re most famous for their riesling, which is ubiquitous on wine lists and/or shop shelves, but the sauvignon blanc is a particularly crisp and canny choice for a hot day -- also good to keep in mind if you’re there for the concert series to see the likes of Bob Dylan or Paul Simon. And don't forget your Ghostbusters proton pack, as there are rumors of an old servant named Elizabeth who still haunts the winery Manor House. 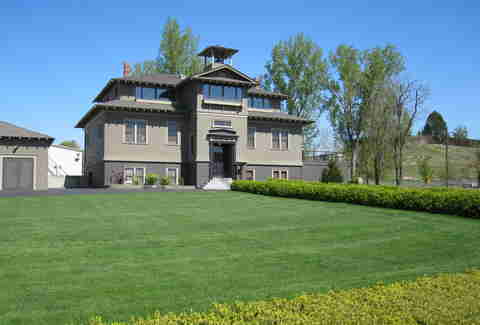 Across from Chateau Ste. 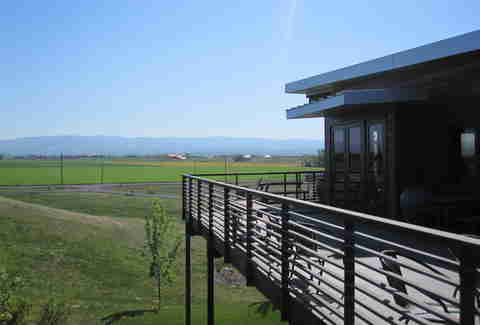 Michelle is Novelty Hill/Januik, a hypermodern tasting room with award-winning reds and whites. Aside from grabbing a glass to sip, you'll want to stop here around lunch and try one of their seasonal flavors of oven-fired pizza, every Friday-Sunday from 12-4pm. Walla Walla’s Downtown strip has an assemblage of crawlable tasting rooms, but Amavi is only a 10-minute drive south of town and feels much more like a legit wine country vacation. Amavi's great selection of both reds and whites are the perfect complement to relaxing on their balcony that overlooks farms, vines, and mountains. For some of the tastiest Rhone blends in Washington, visit the cozy tasting room at Gramercy Cellars. Winemaker Greg Harrington is not only a Master Sommelier, but also a Chairman of the Court, and you can rest assured that they’re producing some of the best syrah and red blends around. The staff here is a trifecta of friendly, unpretentious, and super knowledgeable, so it’s a great place for novices and nerds alike. If you've ever visited a winery and thought, "Man. If only there was a way I could finish this bottle, pass out in a super-cool yurt, and awake in the morning surrounded by the wonderful smells of nature and grapevines," you're in luck, because you can do that at Cave B. 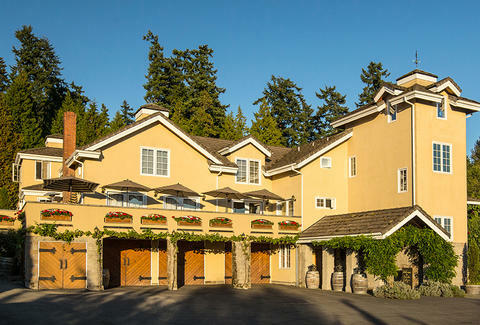 The winery is also located right next door to the Columbia Gorge Amphitheater, so if you have a day to gear up for (or recover from) Sasquatch Fest -- or if you’re looking for a place to unwind for a weekend with an easy two-and-a-half hour drive from Seattle -- this is the place. At their tasting room, you can try a full flight, grab a bottle of the old-vine merlot, or nab their unoaked chardonnay. 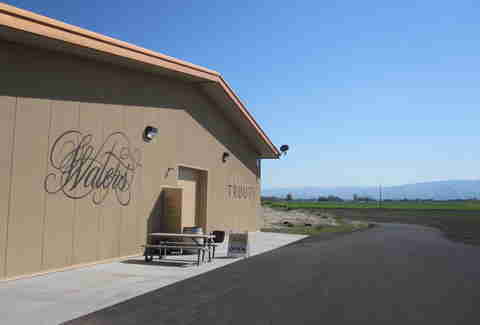 This winery is built into an old-school yard just outside of town. Don’t be fooled by the new coat of paint -- once you walk in, it’s a comfortable 19th-century labyrinth with a library, old desks, and tons of wine. After remarking on how old everything is and wondering if it's all authentic, be sure to take your glass out back -- there’s a shaded patio with a view of the horse farm next door. If you’re in Walla Walla for the weekend and looking for something to do at night, this Downtown wine cellar transforms into a community watering hole on weekend nights, complete with live music and other people who will also talk to you about how old everything in L'Ecole is. Lara Douglass is a food and drink writer based in Seattle.